Many years ago National Semiconductor came out with a neat white noise generator IC. They are no longer being made but they can still be found on eBay. This little 8 pin part is very easy to use. It draws about 4ma of current and can operate over a range of 4.5v to 11.5v. It might even operate down to 3v. Its output is a series of square wave pulses, whose pulse widths vary randomly. When fed to an audio amp, the sound is like the hiss between radio stations. The circuit below is the most basic. 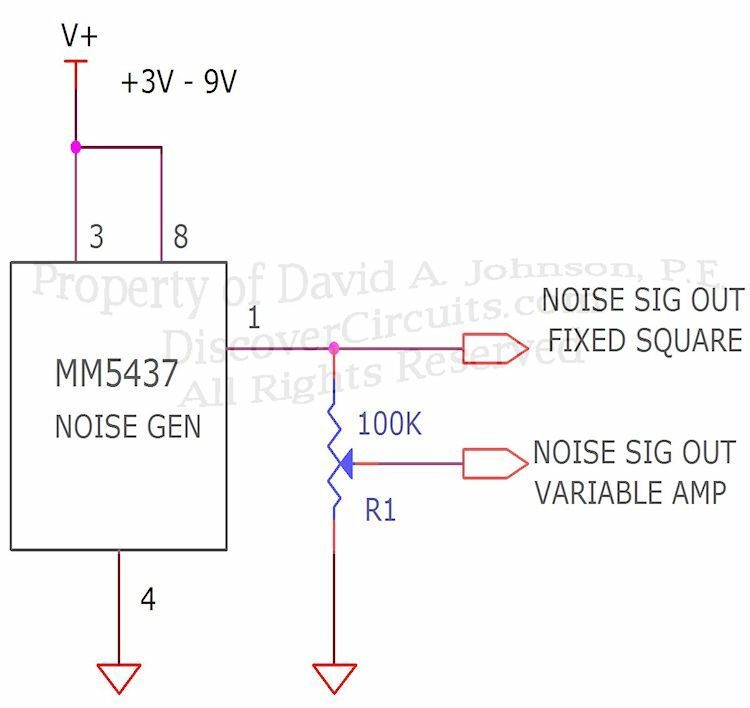 You can add RC filters to the output if you want to limit the frequencies to a narrower band.